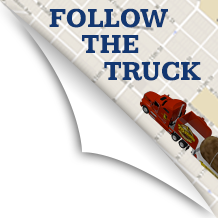 Hello Tater Nation and welcome to the 2018 Tour. 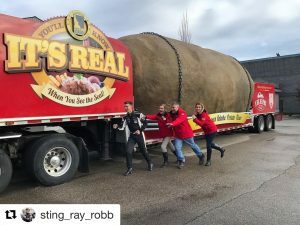 So the Tater Team had some time back with family and I bet you’re wondering what all we did. Suffice to say that time at home always goes too quickly. Kaylee was the first of us to strike out in an adventure. She went down into South America and was able to fit in a trip to Hawaii and the Grand Canyon to boot. She might not have gotten to do everything she had planned, but she did embark upon adventure worthy of a life well lived. Jessica also did a bit of traveling. She took a cruise with a huge Idaho Potato Truck fan. 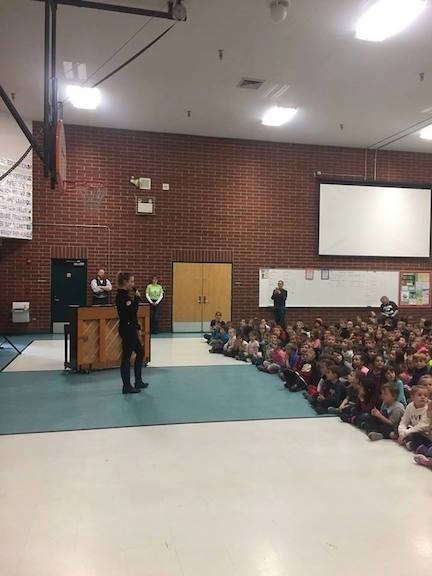 I’m sure that all of you think you’re our biggest fan and you likely have a shot. This fan however also happens to be Jessica’s Grandmother. 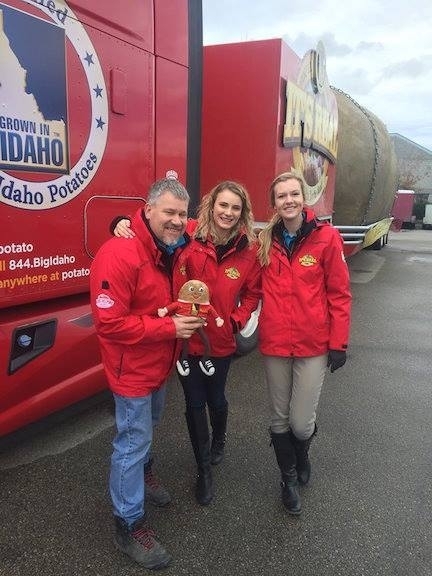 She is a wonderful addition to our Idaho Potato family and has become the recipient of our own admiration. They certainly had a wonderful time together as evidenced by the enormous smile you see on Jessica’s face at any mention of the trip. Jessica also helped out Idaho’s School Teachers by subbing over break. She’s a giver for sure. And Larry…well…he probably did some stuff too. Just before we launched on Friday, we hooked up for a photo with Idaho’s very own Sting Ray Rob. Look for more of him in our tour future, because we have plans to hang out and the Tater Team wants a rematch. (Sting Ray won our first race.) The team is happy to again be touring the Country and look forward to seeing all of you–our fans. Please take time to watch our videos and don’t be afraid to share the ones you like. We have big hopes and dreams for this year’s tour and need your help to make those dreams come true. Thank you so much for following us on our journey and may you all have a blessed week. We’re on our way to Hilton Head South Carolina to celebrate some Irish roots. (Pun intended) See you soon. P.S. 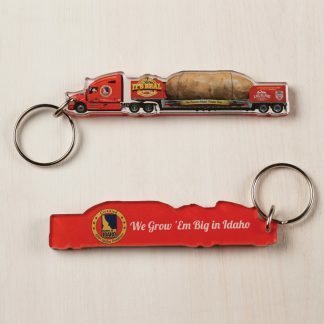 We know we promised you a new Big Idaho Potato and we do intend to deliver, but it’s not ready yet. 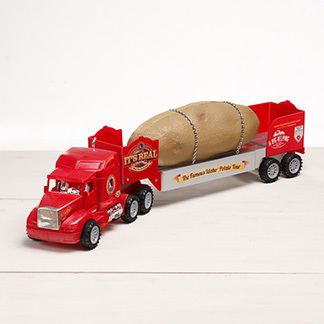 Our friends at Schofield Design are hard at work and we’ll likely be able to launch the new Spud in June of this year. PrevPreviousThat’s a Wrap! 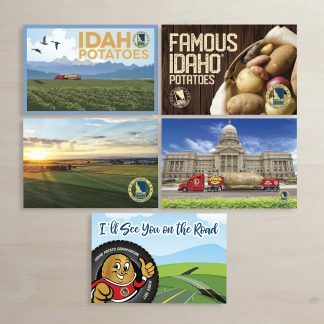 The Tater Team returns to Boise!